One of the things I have appreciated since having an operation to remove a cataract is how colours are way brighter and sharper than I thought they were. I find myself closing one eye and then the other, playing between the foggy image of the world my left eye can make out and the brightness of the world in right. I’d been told to expect this but thought my world wouldn’t have been affected this much. There’s something revelatory about what lies beyond the veil. Do we know there is something more beyond our drab cages? I don’t think we intend this drabness for one another. We don’t design our education systems and life expectations and work environments in this way, but we underestimate the value of beauty for our brains. 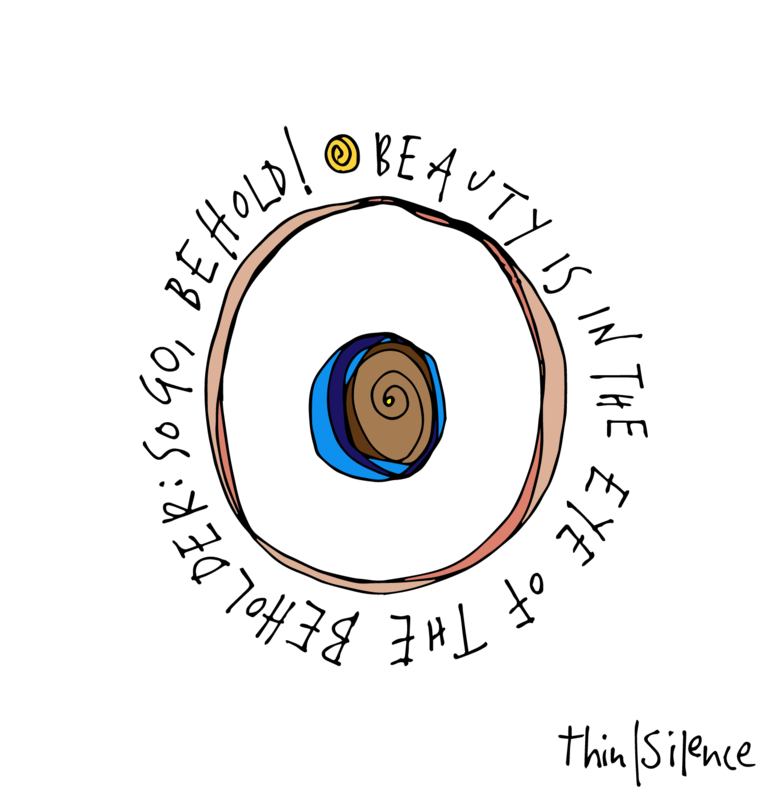 As I suggest in my doodle, beauty is in the eye of the beholder – I’m not trying to tell someone what is beautiful and what is not. The only condition I would hope for is that our kind of beauty improves the lives of those around us. Today, I choose beauty. Let me see where that takes me.